Well I finished Eleanor & Park by: Rainbow Rowell. It was a log journey trying to finish it. I wanted to stop a ton in the middle but just had to keep going. I choose this book because it looked really interesting. I have seen it when we go to the store and have read the back of the book, it was a love story. I love reading love stories but sometimes they can get really boring but this book was very interesting. If I could have done this again, I would have chosen a new book. This book was good but just didn't meet my standards. If I could recommend this book to anyone I would recommend it to girl readers. As I was reading it just didn't seem like a kind of book that a boy would read. Also I would recommend it to someone who likes romance. If you’re a boy and like to read about romance then go ahead and read it, you might find some appreciation in the book. Don’t take my word for it! If you are looking for something to read give this book a chance you might turn out to like it in the end. Wow! Eleanor & Park has become one of the best books I have ever read. It keeps me on my toes waiting for the next thing to happen. When I am reading I like to read books that keep me on my toes because otherwise I will stop reading it because it’s boring or just drags along. During the middle book I wanted to stop reading and choose a new book because it was boring me so much. One part in the book that kept me going was, “If he wanted that now-if he wanted her to beg for forgiveness, for mercy, if that was the price she had to pay to stay-she’d do it. She hoped he couldn’t see that. She hoped none of them could see what was left of her. (Rowell, 154)” This part was the icing on the cake. Eleanor wanted Park so bad she would do anything. I thought it was just so cute! I had to read on to see what was going to happen. Most of the chapters didn’t end in cliff hangers but this chapter did and this one was very good because I wanted to read more. When I read on it was worth it because I found out what happened and in the next chapter there was also another cliff hanger that kept me going. I would let you know what happens but I don’t want to spoil the middle of the book for you. If you are reading this book and feel like stopping don’t! It will get better. As I continue reading Eleanor & Park by: Rainbow Rowell I just get more confused and have so many questions. I wonder what is going to happen between Eleanor and Park because I feel like they have a connection. I know that something is going to happen between them. I think that Eleanor really likes Park and doesn’t want to say anything. I also think that Park has no clue what he wants but not Eleanor right now. I love how Rainbow Rowell making you think and make predictions as you read. I also love the way she has written her book. She writes it just like how teenagers talk and think. I think that is what makes it so easy to connect with. If it is how we talk then it will be easy to understand. I can’t grasp a theme yet because it’s so unpredictable which is making me stay on my toes wanting to read more. I wonder if this story is going to turn into a love story/ true love story because I feel it coming. I can’t wait until I have finished the book because that’s how good it is. When I have read more and some of my predictions are made or not made I will let you know. Well its summer time again and you know what that means, time for the summer reading projects! We had to choose a book from the Printz Award Winner or Printz Honor book list. Out of all my choices I choose the book Eleanor & Park by: Rainbow Rowell. I have read a little more than half way through the book and so far I really like it. I can also relate to it really well which is good for me when reading a book. The main setting of the book is in the past in 1986 at school. In the beginning of the book there isn't a major conflict but there is a little bit. There are two main characters in this book. The main two characters are Eleanor and Park. Eleanor is a red hair girl. She is very quiet and the new girl. Park is a boy who doesn’t talk much and would rather keep to himself. I don’t know that much about it but that they are total opposites. The first time they meet was when Eleanor had to sit with Park on the bus. If I had to make one predication I would think that these two would fall in love. I hope they do, because opposites attract! 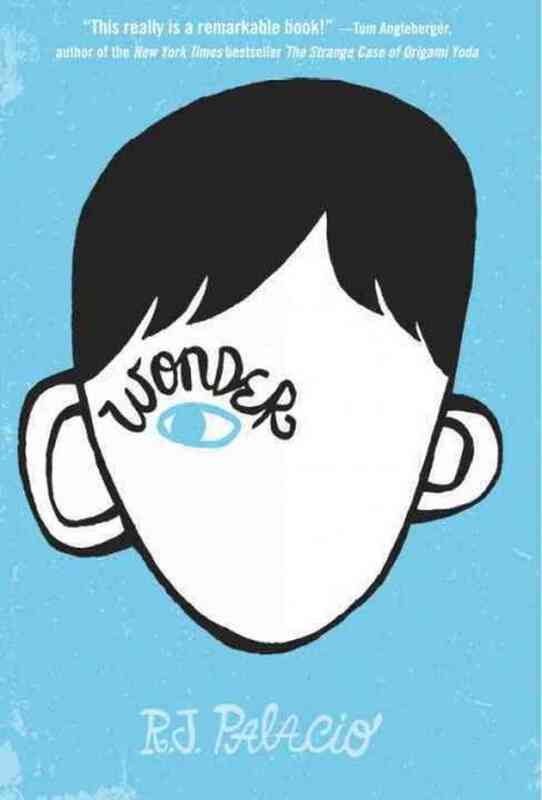 I have just started the book Wonder. I thought that it was going to be a hard book to get into but it's was so easy. I love this book and never want to put it down. I love how it keeps you wondering because they don't tell you what Auggie looks like. So I actually have to imagine what he looks like instead of have a description. I wish more authors would write like this. Auggie is just about to start 5th grade and his mother had home schooled him ever since now. She thinks that him getting out there, being around and meeting new people will be good for him. I think that it will also be good for him. Auggie doesn't want to because he is afraid that people are going to stare at him and make fun of him. I think that it is going to be good for him and that he should go to school. It doesn't matter if people stare. People stare at me all the time. You don't have to be or look perfect to fit in. Well this is the second book that I started reading then stopped in the past week. I guess I can't find a book to get into. After I read Heaven is for Real and My Story I just can't find a book that I am into right now. My English teacher Mrs. Palmer and one of my friends Elle told me that the book Wonder by: R.J. Palacio. I bought this book just recently and was going to wait until the summer to read it. If I had to recommend The Sisterhood of the Traveling Pants I would recommend it to anyone who loves to read about a good friendship movie and that you haven't seen the movie. According to Common Sense Media says, "Parents need to know that this book's emphasis on strong, supportive girl friendships may inspire readers -- and provides some nice counter-programming to clique lit's "frenemies." The characters do make some bad decisions, but they grow from them. There's some sexual content, language, and some pretty intense emotional stuff. Teens living out their own coming-of-age stories will likely get the most out of this book." Read More? Maggie has read 0 books toward a goal of 3 books.